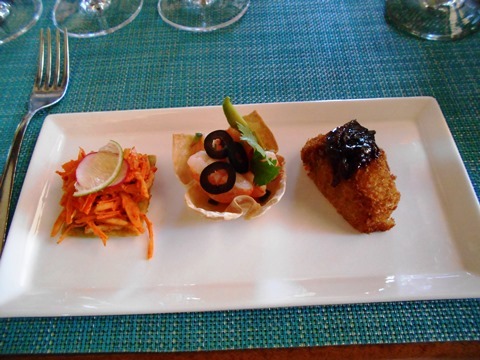 Here is a quick and easy appetizer straight from Cabo San Lucas! Clean, shell and de-vein 4 large shrimp. Place in a bowl and sprinkle with 4 tablespoons of lemon juice. Sprinkle with salt and pepper. 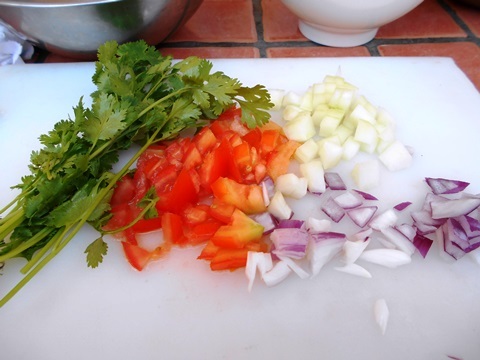 Add ¼ cup chopped tomatoes, ⅛ cup peeled and chopped fresh cucumber, ⅛ cup chopped fresh cilantro, ⅛ cup chopped red onion and 1 to 2 tablespoons fresh chopped jalapeno pepper (to taste). Marinate no longer than 30 minutes. 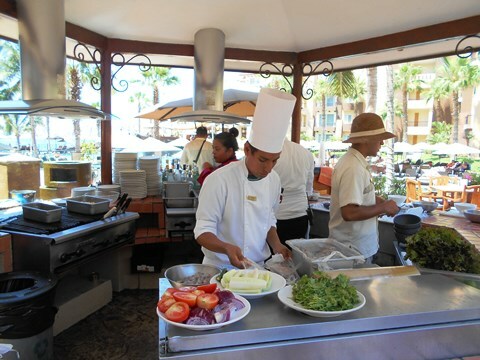 Here is the chef at Villa del Arco preparing for the Mexican Cooking Class. 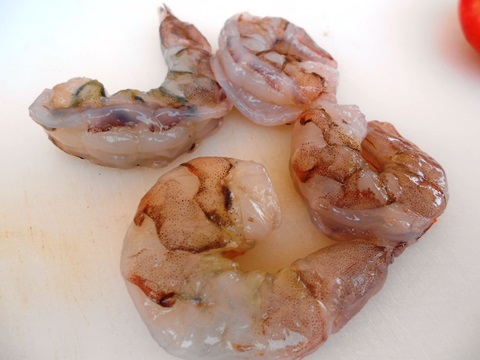 Clean, peel and de-vein 4 fresh shrimp. 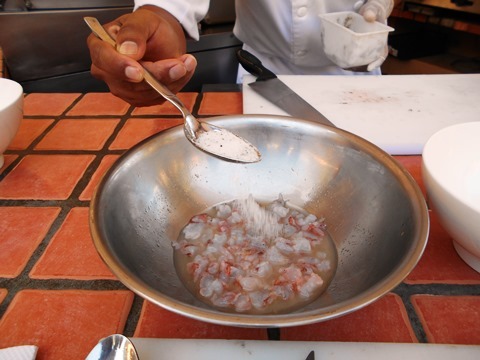 Chop the shrimp and place in a bowl. Sprinkle with 4 tablespoons of lemon juice and salt and pepper. 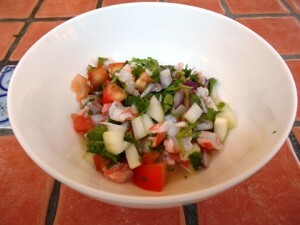 Add chopped tomato, chopped peeled cucumber, chopped red onion and chopped fresh cilantro. 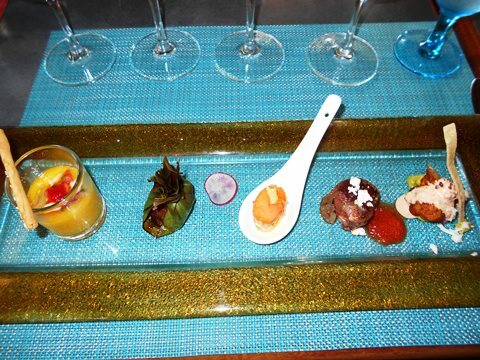 I would love to serve this as a first course for a dinner party — in martini glasses! Remember, let’s share great food with our family and friends! Enjoy! 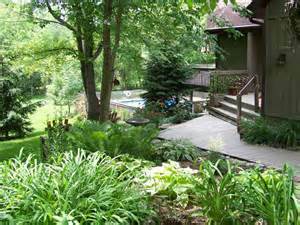 Do you love to stay in Bed and Breakfasts? The innkeepers, Scott and Victoria Phillips, share a passion for cooking and that is what influenced our decision to stay at the inn. Victoria serves fresh-from-the-garden fruits and berries and transforms them into wonderful pastries, cobblers or parfaits; home-baked breads come warm from the oven; eggs become mouthwatering delights; and a variety of freshly brewed coffees and teas are yours for the asking. We stayed at this inn last November when we traveled to Valparaiso, Indiana to meet our new West Highland Terrier puppy, Beau. The inn’s slogan is, “Where Every Season Is A Masterpiece” and we believe that is true. The fall colors were spectacular when we visited there last November. 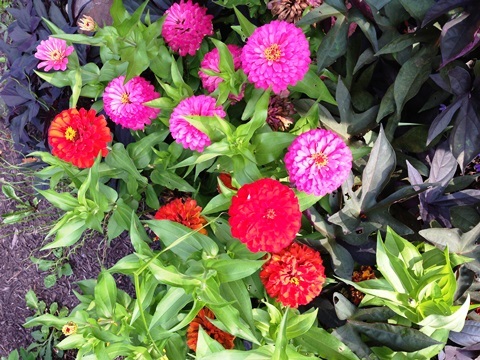 I just returned from a short stay at the inn this week and the summer gardens on the property were spectacular! 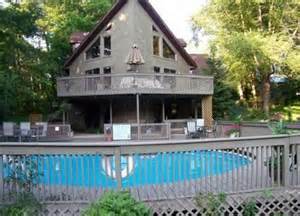 At Home In The Woods offers three well appointed guest rooms with private baths and fireplaces. The rooms are inspired by three National Parks and are comfortable retreats for the traveler. We stayed in The Smokey Mountain Suite last fall and it was like a cozy cabin in the mountains. The hot tub was just steps away on the deck outside our room. I stayed in The Rocky Mountain Room this week and enjoyed the corner whirlpool tub, complete with a wall of river rock, and the spectacular woodland views. 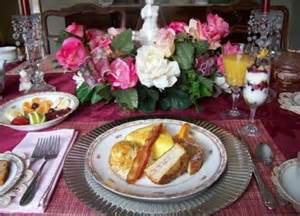 All Bed and Breakfasts serve breakfast but this inn pays particular attention to presentation and detail. Breakfast is served on a table graced with linens, stemware, china and seasonal decor. You may be surprised by little antique bunny salt and pepper shakers on the table or fresh flower garnishes tucked here and there on your plate. You’ll be treated to delicious hot breakfast casseroles, pastries, yogurt parfaits, fresh fruits, gourmet cheeses and other culinary delights from Victoria’s kitchen. 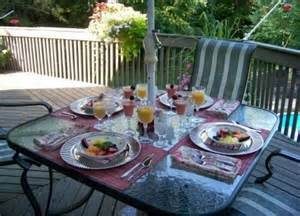 Breakfast may also be served on the deck which offers a view of the wooded acreage and the pool. The gift nook also has handmade soaps in luscious scents such as Apple Cinnamon, Green Apple, Lavender Chamomile and Cinnamon and Cinnamon Oatmeal. You can also find marble cheese boards, Victoria’s handmade gourd birdhouses and the “At Home In The Woods Cookbook” which features tons of yummy recipes! 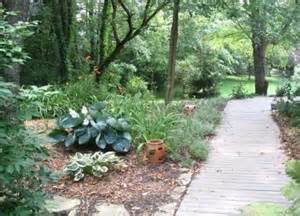 When you visit this unique inn, prepare to be pampered and enjoy the host’s meticulous attention to every detail. Tell them a mutual friend sent you! Enjoy! 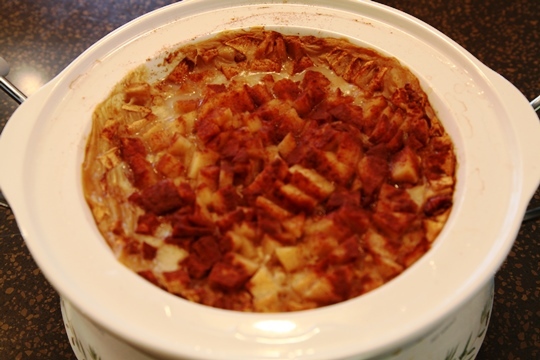 Looking for some easy Crock Pot recipes for breakfast? Check out my Crock Pot Overnight Oatmeal! We entertain a lot in our home and we often have overnight guests. I’m always looking for easy breakfast recipes that I can make the night before and this one is terrific! I set up a breakfast bar where guests can serve themselves. I usually set out maple syrup, brown sugar, blueberries, strawberries or other toppers and let everyone make their own “special” oatmeal. 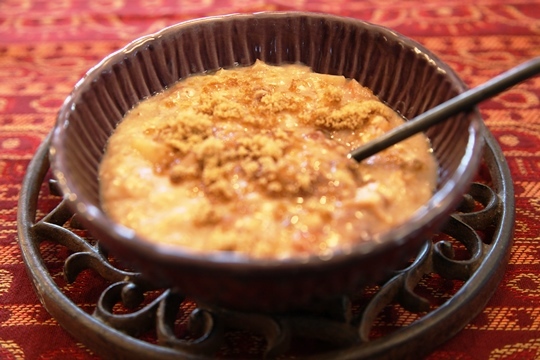 This easy recipe for Crock Pot Overnight Oatmeal is great for a breakfast bar. Just set out maple syrup, brown sugar, blueberries, strawberries or other toppers and let everyone make their own "special" oatmeal. Add the oats and water. Dot with 2 tablespoons of butter. Cover and cook on low overnight.....this will be ready in the morning! 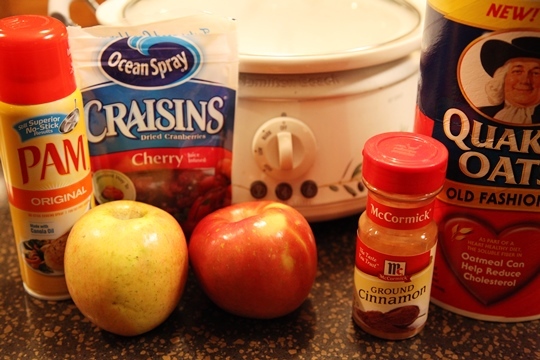 I like to add diced apples or dried cranberries when I add the water and oats. If you want to add blueberries or raisins, add them in the morning…..or set them out as options on your Oatmeal Breakfast Bar Buffet! Here is what the Crock Pot Overnight Oatmeal looks like in the morning…….. This is also a terrific recipe to use once the kids go back to school. Mornings are always so rushed and this recipe is ready when you are! Try spooning this into paper cups and the kids can eat this on the run! 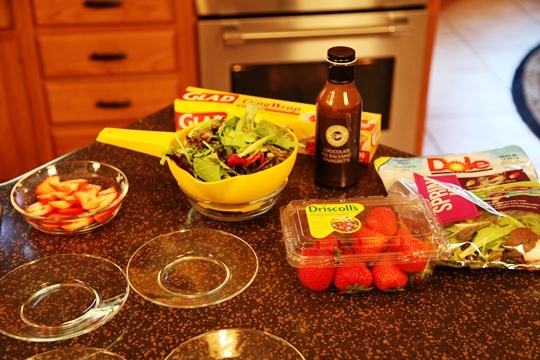 It’s a great way to make sure everyone starts their day with a healthy breakfast! Looking for some fun baby shower ideas? What could be cuter than this baby in a fruit bassinet! This is a creative way to serve a fruit salad and it makes a great centerpiece too! This will also go with any baby shower theme you choose. Start with a watermelon that is at room temperature. It will be much easier for you to carve a melon that is not “sweating”. Cut a thin slice from the bottom of the watermelon to provide a stable base. Draw the outline for the bassinet on the water melon, using the picture above as a guide. Use a sharp knife to cut out the design on the watermelon. Cut all the way through the rind. Remove the sections of the rind and hollow out the bassinet. Use a melon-baller tool to cut watermelon balls for the fruit salad. Peel a cantaloupe to make the baby’s head. 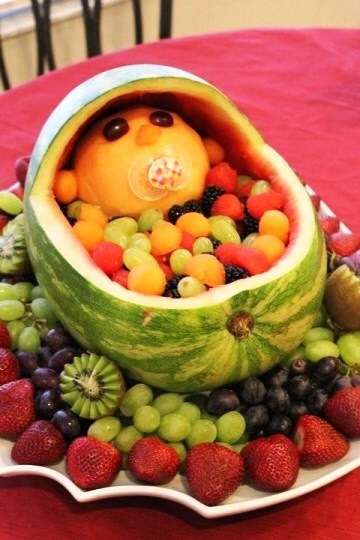 Fill the baby bassinet with fruit salad and enjoy! Summer recipes that are quick and easy help us enjoy sharing great food with our family and friends! Summer is in full swing and everyone is looking for easy summer recipes! I can’t wait to share the new recipes I’ve been cooking for the blog and YouTube channel! The bouquet above is from my flower garden and if you remember last summer, I shared the success secret for garnishing your food creations with fresh flowers…. 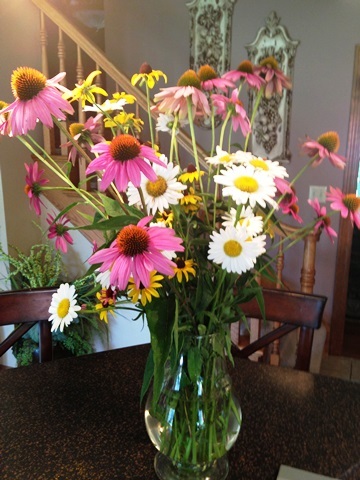 “Edible Flowers for Garnishing” Be sure to check out those tips! 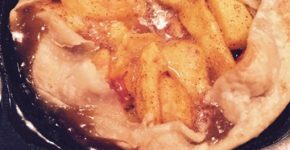 Bananas Foster….It’s a real WOW! I checked the job board and there was a teaching position open in my immediate area. I applied for the position…and they hired me. I thought I would be able to blog and teach….but my first year back in the teaching arena proved to be a FULL TIME job! I loved every minute of it and I can’t wait for school to start again in the fall and now I think it will be possible for me to keep up with my classroom work, blogging and my YouTube channel. I must say, I have missed my Make Life Special work. So…on with Make Life Special! 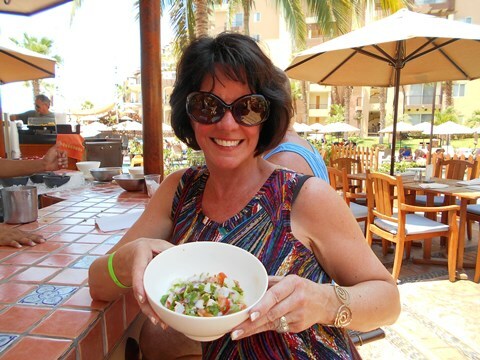 Let’s continue our journey …let’s enjoy some easy summer recipes and share great food with our family and friends! Cute Little Easter Egg Chicks are a Creative Deviled Egg Recipe! Here is a deviled egg recipe that’s sure to bring ooohs and ahhhs from everyone at your Easter dinner! 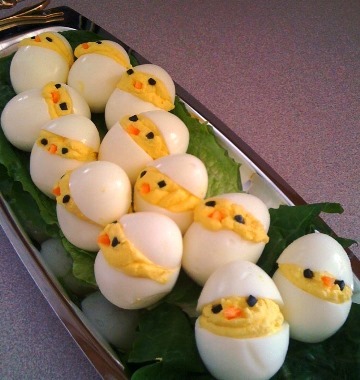 Two of my readers sent me this cute idea – Deviled Easter Egg Chicks! Here are the success secrets for making this great deviled egg recipe for the Easter holiday …or for any springtime brunch, lunch or family gathering. Here’s a “Make Life Special” Extra: If you would like to have the chicks different colors, dip the peeled eggs into a mixture of 1/2 cup water and some food coloring. Immerse the eggs, one at a time, into the dye mixture for a few seconds or until the desired color is reached. Dry each colored egg on a paper towel. If you want the chicks to stand alone on a plate, cut a thin straight slice from the wider bottom end of each egg so the egg will stand straight. 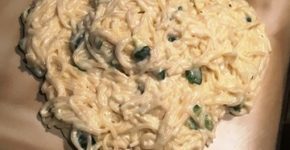 You don’t have to do this step if you want to nestle the chicks on a plate with “grass” made from shredded lettuce or spinach as shown in the photo. With a sharp knife, cut the top third off each egg and remove the yolk. Mash the yolks in a bowl and make your favorite deviled egg recipe. 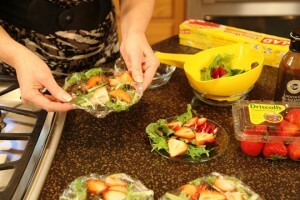 Refill the larger bottom portion of each egg ( using a small spoon or a small zip lock bag with a corner snipped off). Mound the the top of the filling and cap with the top egg portions. Add a tiny triangle of carrot to each egg for the beak. Use bits of black olives or capers for the eyes. You can also insert a sprig of fresh dill into the top cap for a tuft of feathers, if desired. Honey Bunnies Are an Easy Bread Recipe! Here’s an easy bread recipe! 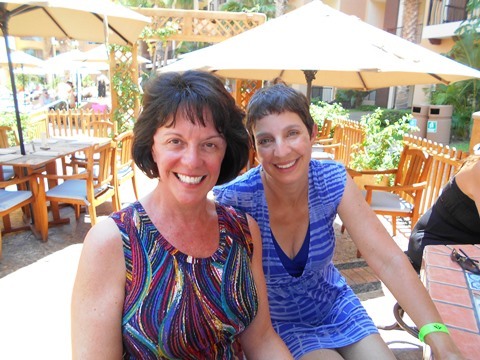 My friend, Jennifer, shared these Honey Bunnies with me and I had to include them in the blog. They are so cute and easy! 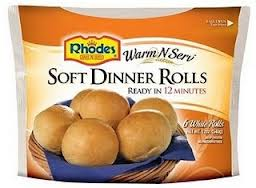 These cute little Honey Bunny Rolls start with a package of Rhodes Warm-N-Serve Soft Dinner Rolls. Note: You will have to partially thaw the rolls in order to cut the bunny ears. I’m also including a variation for Cinna Bunnies … They would be a great addition to an Easter breakfast or brunch! Using kitchen scissors, cut the bunny ears into the rolls as shown. Using a wooden skewer, make two eyes in the rolls. Bake as directed on package at 325 degrees for 12 minutes. While the rolls are baking, heat the butter and honey in a pan. 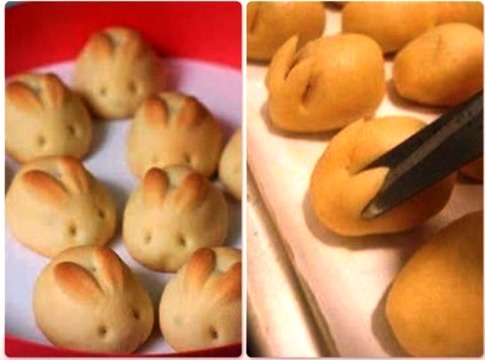 When the rolls come out of the oven, brush the Honey Bunnies with the honey and butter mixture. Partially thaw the dinner rolls. Using kitchen scissors, cut the bunny ears into each dinner roll. Using a wooden skewer, make the eyes in each roll. Bake as directed on package, 12 minutes at 325 degrees. While the bunny rolls are baking, combine the remaining ingredients in a food processor and blend until smooth. Brush the cinnamon butter liberally on the hot rolls when they come out of the oven. Serve additional Cinnamon Butter with the warm rolls. Rice Krispie Treats have been enjoyed by kids and adults alike for as long as I can remember. 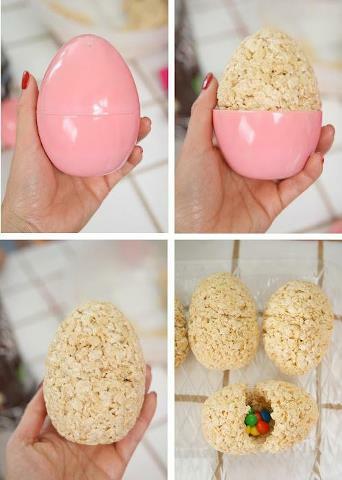 With Easter just around the corner, here is a great idea for Easter Egg Rice Krispie Treats. This was submitted to Make Life Special by one of our readers. Thanks for the great idea! Coat the inside of the plastic eggs with cooking spray. Make the Rice Krispie Treats recipe. I like to make this in the microwave. The microwave makes this so quick and easy! Just heat the butter and marshmallows on HIGH for 3 minutes, stirring after 2 minutes. Stir until smooth. Add the cereal to the hot mixture and stir until well coated. EASY EASY! Be sure to grease your hands before you start filling the eggs with the mixture. This is very important! Firmly press the mixture into each plastic egg half. Use your fingers to make a hollow center in each half. Then remove from the molds and place on wax paper to cool slightly. Place candy surprises into one half and gently press the two halves of the eggs together until they stick. You can decorate the outside of the eggs with frosting, if desired. Get creative and use bright colored icing! You can make ziz-zags around the eggs….lines in several colors…..polka dots….whatever you like! Remember…Let’s make life special by sharing great food with our family and friends! Enjoy!! 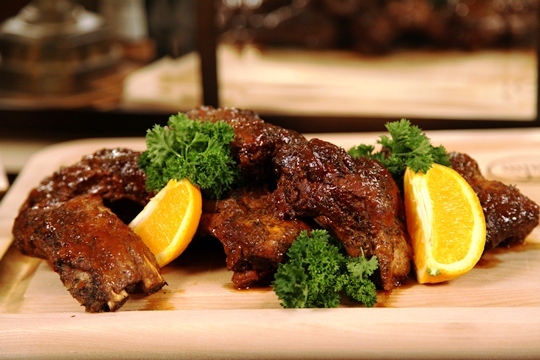 With a sweet and spicy sauce, this BBQ rib recipe is a hit! You’ll need just 10 minutes to get this BBQ rib recipe into the crock pot for slow all-day cooking. 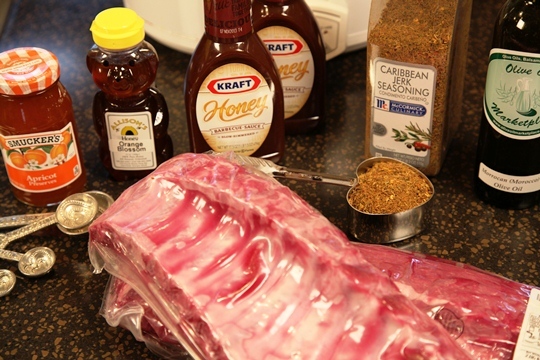 The end result is sweet and spicy “Jamaican-Style” ribs that fall off of the bone. Tender….Juicy…What could be better? This is a great recipe for any time of year. Serve it in the summer with potato salad on the patio or in the fall and winter with hearty baked beans and a baked potato bar. Drizzle with oil and rub with the jerk seasoning. 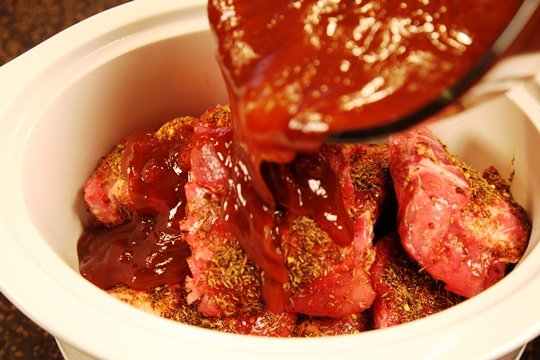 Place ribs in 5 or 6 quart slow cooker. Combine the remaining ingredients; pour over the ribs. Cover and cook on low for 6 to 8 hours or until the meat is tender. 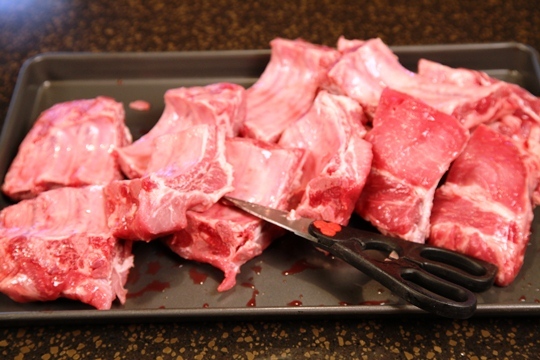 Use kitchen scissors to cut the ribs into serving size pieces. 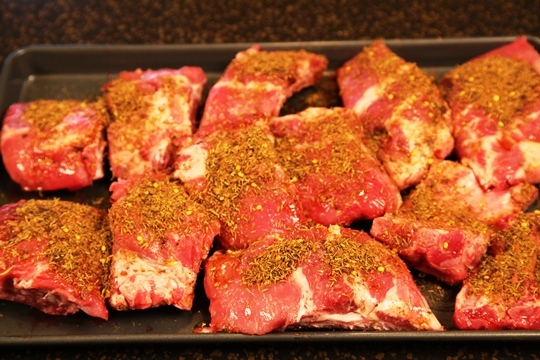 Drizzle with olive oil and rub with the jerk seasoning. 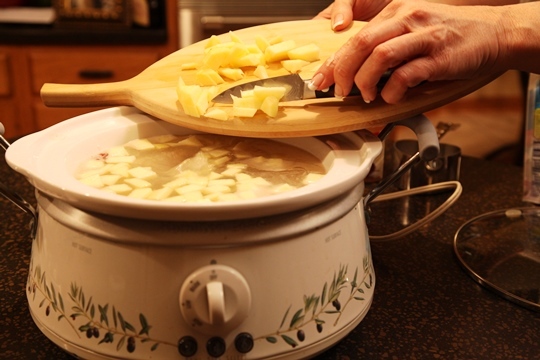 Place in a 5 or 6 quart crock pot. 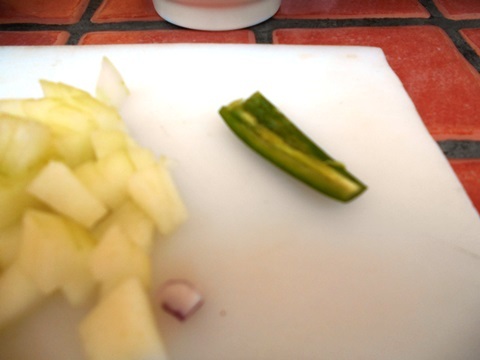 Combine the remaining ingredients for the sauce. I like to use Kraft Honey BBQ Sauce for this recipe. 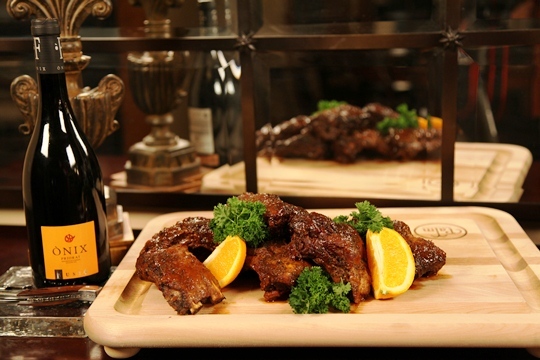 It gives just the right amount of sweetness combined with the spicy Jerk Seasoning. McCormick makes a great Caribbean Jerk Seasoning. Pour the sauce over the ribs. If you like Pulled Pork, be sure to try my Prize-Winning Pulled Pork Recipe!